planning, cleaning, coordinating, clearing, set-up, comaraderie, and clean-up equal to? A Kick-A** Autumn Clambake, that's what! We live on one of those streets. You know the kind that has a "committee" for everything, a monthly book club and a guy's night out? Yes, one of those. And it's loads of fun! We volunteered our back yard this year for the street clambake, which is a lot of work (let me repeat: a lot of work). But there were so many helping hands through the process. There were about seventy attendees this year. Per usual,we ended up around the fire pit, listening to the strum of guitars, while we sang along, drinks in hand. It was a pretty night, and a perfect fall celebration! I'm back and I've missed you!!!!! This was a great post to come back to! 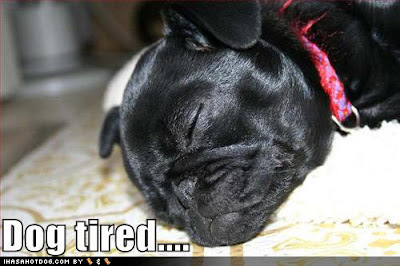 Dog tired is right, that looked like one awesome celebration! I need to look for that when I start looking for a house, I want one of those committee streets because it looks like a blast! Too cute! We live in a similar neighborhood. Isn't it nice?? Ahhhh...so darn fun! Enjoy some down time now. Sounds like lots of fun...and a lot of work. I would give just about anything to live in one of those neighborhoods. What a fun looking party. Clam bakes are the ultimate good time! How fun! Our neighborhood used to have progressive dinners. The association provided the meal, odd numbered houses brought appetizers at one house, main meal at another and even numbered houses brought dessert at the last house. It was so fun til a crotchety mean old neighbor complained about association funds being used for the meal and we haven't had one since! He moved last year so another one is planned. How fun is that! I've never lived on one of those streets. Guess I'll have to make my own. how awesome! i have never even heard of a clambake! My street is nothing like that. I think most of us don't even know who our neighbors are. It's not that we are snobs (or maybe we are), but it's just the way things are. We say "hi" and that's about it. Looks like fun. Yummy too. It looks like you had a great time! Hope you get lots of rest today. Sounds like fun. I've never been to one. How nice of you to host it. Fun, fun. Sounds like it was well-worth the effort. Now that looks like a lot of fun! Sans all the work involved. HAHA! At least there was help. Great photos, Christine!! I'm so glad it all worked out and you had a wonderful time...you deserved a night of fun and frolic! Looks like fun! Now time for a nice rest! I want to go to a clam bake!!! That looks like THE most fun. I want to live on your street too! I don't even know my neighbors. One gives me stink eye and I think the other steals my Fed Exes. Oh man, I'm SO jealous. We live in a very upscale (SNOBBY) development...my neighbors are all gossipy and not fun or friendly. (most of them also work a lot: attorneys, doctors, etc.) I wish we lived on one of THOSE streets/neighborhoods. *sigh* I love my house and yard... and it's a gorgeous neighborhood with perfect landscaping as far as they eyes can see..but the neighborhood people are frigid. I hope they came back and helped you clean up. omg how fun!!! I love clambakes!